Offsite links are allowed, but you are required to have a catalog entry for that video as well. Threads announcing videos that do not contain a catalog entry will be moved to the Awaiting Catalog Entry sub-forum and will be deleted in 2 weeks if an entry is not created. When posting announcements, it is recommended that you include links to the catalog entries (using the video ID) in your post. Videos that do not contain anime are allowed to be announced in the Other Videos section and are not required to have catalog entries. 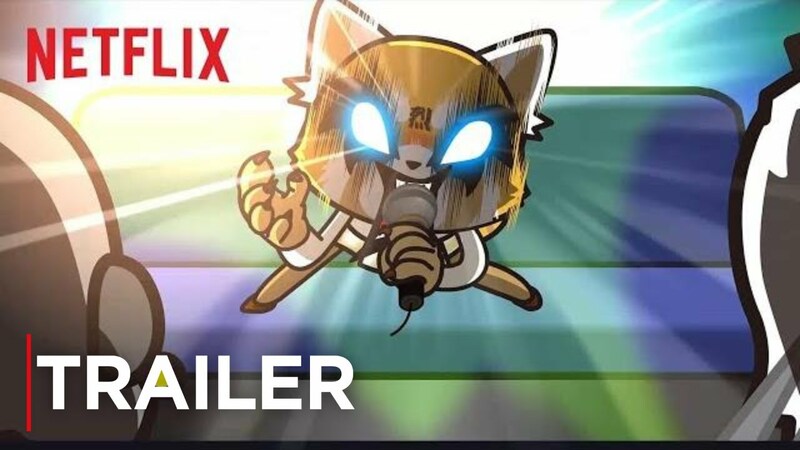 Aggressive Retsuko or Aggretsuko i watched & loved every bit of the series, this is anime every time i search the name the word anime comes up. all i did was take the best clips of the series and added them together in 9 mins, the music is whats already in the series. the hole video is nothing more then clips and music in the series no song. so i skipped it several times lol. everyone says the English dub is better and they are right. Last edited by ClaudiusValentine on Mon Feb 11, 2019 6:31 pm, edited 1 time in total. Edit: Also, have you read the how-to guides on this site, especially the section of the A/V tech guide that covers how to compress AMVs for distribution? I don't know of any reason anymore to still be using WMV in 2019. Using modern codecs, you should be able to get under the 150 MB limit easily -- and yes, that's without it looking fuzzy and/or sounding like [expletive]. that video is actually very good my only point to what i said was that with only 1 thing going for it anger towards the boss and how she feels which she doesnt always show clearly with her face looking plain or kinda dumbfounded, not being much else but looking up and screaming in demon mode you can do a few amvs like that but not much else after that. and my videos seem for me at least to be working when i post them in WMV and imk not saying i dont know how to compress i do but never seem to get it looking as good at my WMV videos plus i pay 12 a year for the 300 limit so keeping my videos between the highest is 250 - 280 sometimes 290 and the lowest i had recently is around 144 ish but most my videos stay in the 200 mark and if they keep loading good with the web upload, which is fast, then id rather stay with that for now it seems to be working for me but thanks for telling me i will look into trying to update it in the near future.